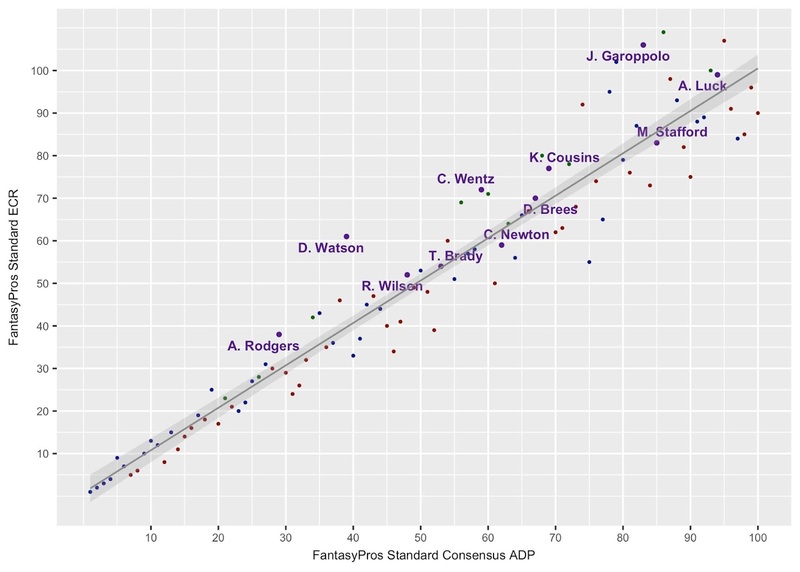 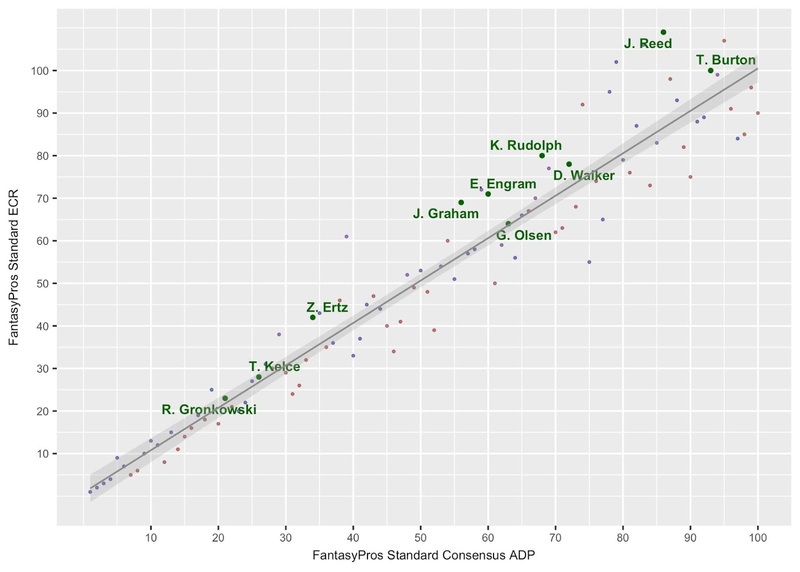 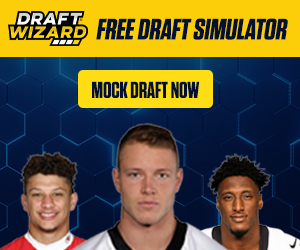 We compared the top 100 fantasy football players via ADP, to their FantasyPros consensus experts ranking to determine which players are being over/under valued. 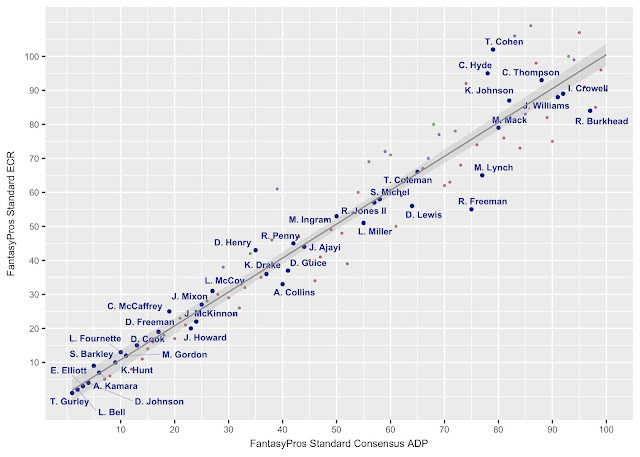 Below is the same chart four times, but with player labels by position. 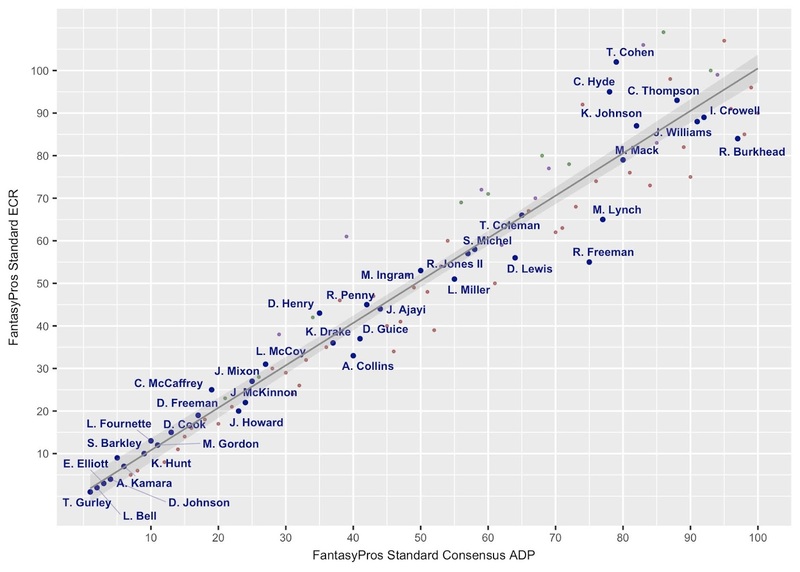 A positive difference (ADP-Rank) shows us which players are being undervalued. 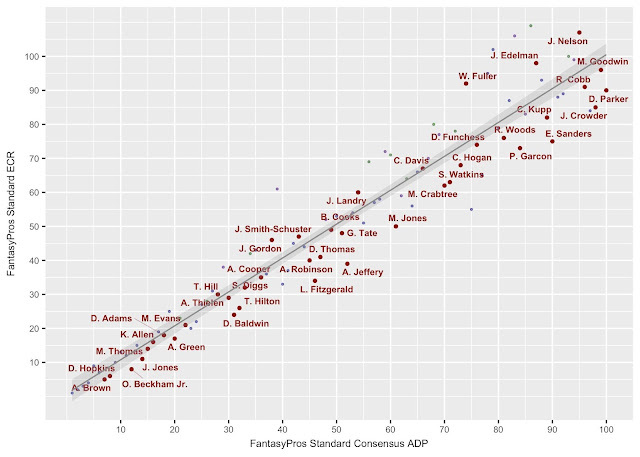 A negative differnece (ADP-Rank) shows us which players are being overvalued. 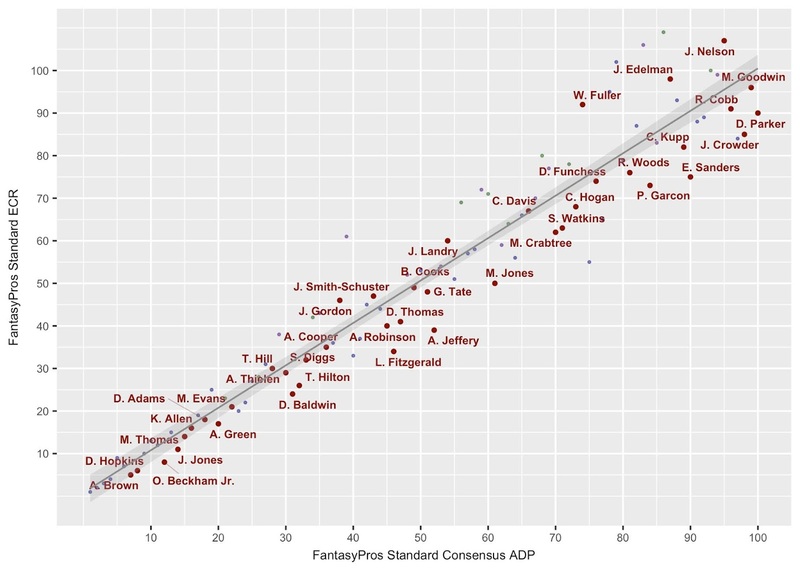 Head over to Fantasy Six Pack for complete rankings and to view the 2018 Fantasy Football staff consensus rankings!